“We would like to bring to your attention some new exciting community news. City Church Laurencekirk is launching a new service to the community. 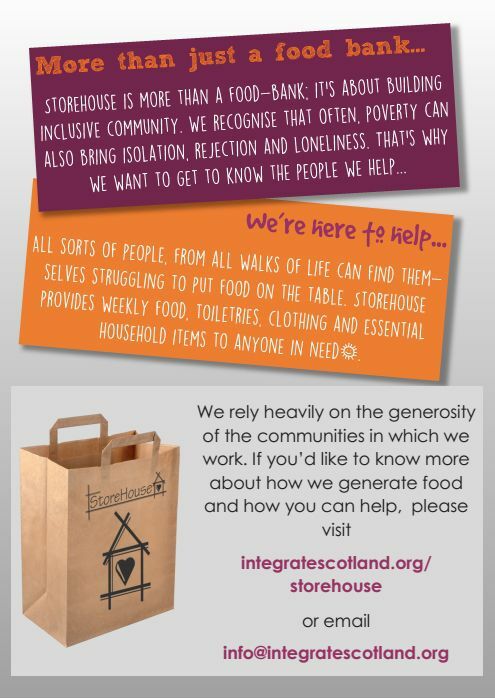 We aim to make two new initiatives available to the community to help those that have found themselves in tough times. “We recognise as a church that it’s important not only to provide a worship service on a Sunday, as we meet at 10am at Mearns Academy. However we believe it’s of paramount importance that we seek to serve the community by meeting needs and generally connecting with the community in other meaningful ways. It’s more than a foodbank as we offer additional help, such as our debt help service, CAP, a nationally recognised charity that has helped hundreds of people across the UK to become debt free. 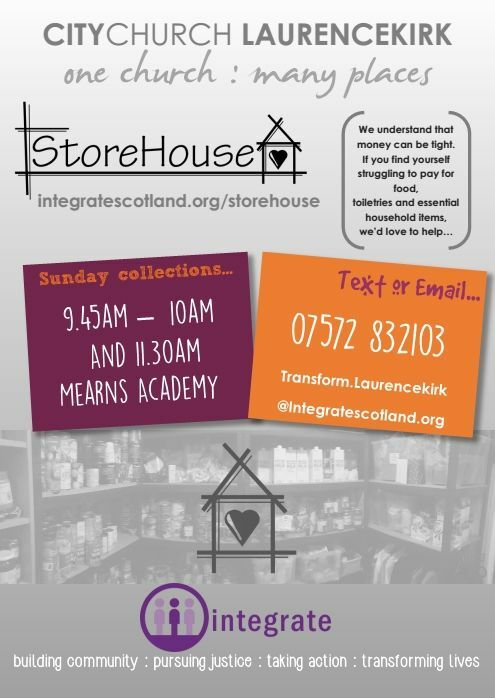 Hi, what a brilliant idea, I’m sure a lot of people will appreciate this, I would like to help out as I am always buying 3 for 2 deals, and rather than having the items sitting in the house for ages I could donate.